Time Warner Inc's Warner Bros. studio on Friday said it would exclusively release high-definition DVDs in Sony Corp.'s Blu-ray format, dealing a big blow to Toshiba Corp.'s rival HD DVD technology. 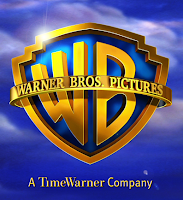 Warner Bros., Hollywood's biggest seller of DVDs, representing about 18 to 20 percent of sales in the United States, was one of the few studios that backed both formats. "The window of opportunity for high-definition DVD could be missed if format confusion continues to linger. We believe that exclusively distributing in Blu-ray will further the potential for mass market success and ultimately benefit retailers, producers, and most importantly, consumers," – says Warner Bros Chairman and Chief Executive Barry Meyer. News Corp.'s 20th Century Fox, Walt Disney Co., and Lionsgate are among studios backing the Blu-ray format. Viacom Inc.'s, Paramount studios and General Electric's NBC Universal release movies in HD DVD format. Warner Bros. Entertainment, Inc. is one of the world's largest producers of film and television entertainment. It was founded in 1918 - the third-oldest American movie studio in continuous operation, after Paramount Pictures, founded in 1912 as Famous Players, and Universal Studios, also founded in 1912.